OPEN HOUSE SUN April 14th 1-3pm. 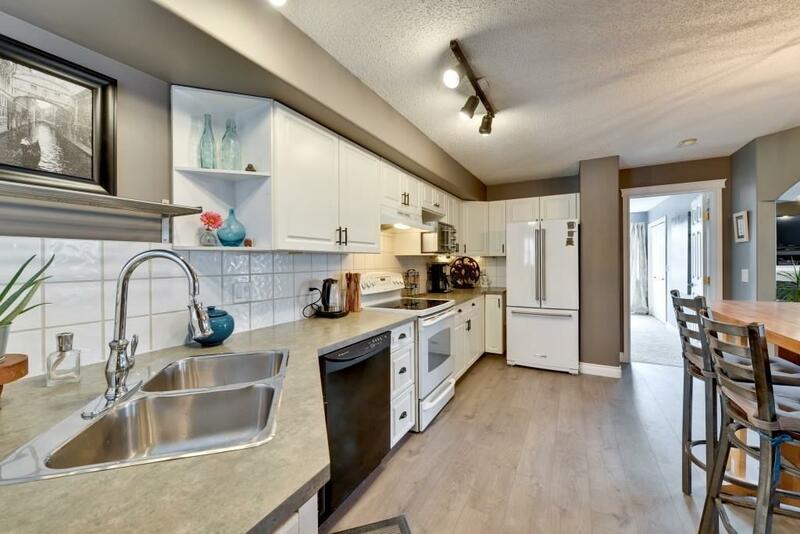 Welcome to this ideally located, impeccably maintained, 2 + 1-bedroom, corner townhome. 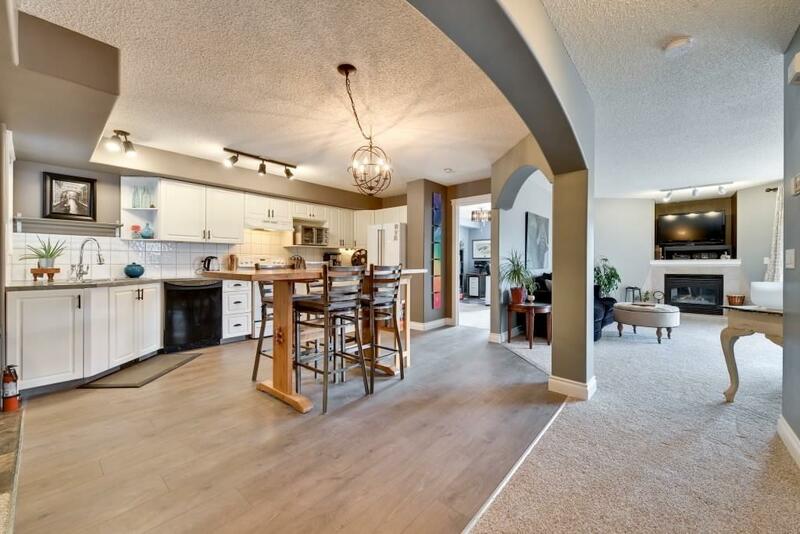 This spacious, updated floorplan offers over 1900 sq/ft of developed living space on two levels. Featuring: new paint, flooring and lighting throughout. On the main floor, the kitchen is the heart of the home and the centre of the wide-open floorplan. The kitchen offers an abundance of sleek white cabinets, endless countertops and newer appliances. The generous great room is soaked in southwest sunlight and overlooks George Moss Park. 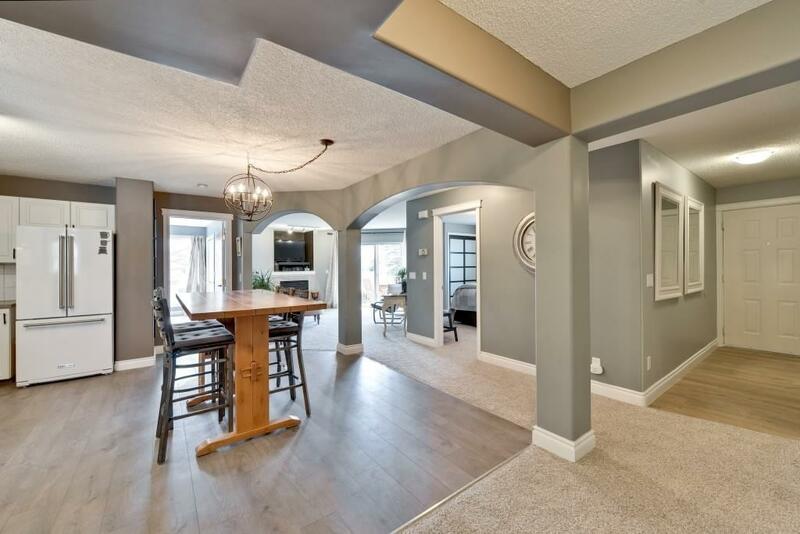 Completing the main floor is a spacious 2nd bedroom, guest bathroom and the elegant master bedroom with an attached ensuite that includes a deep, soaker tub. 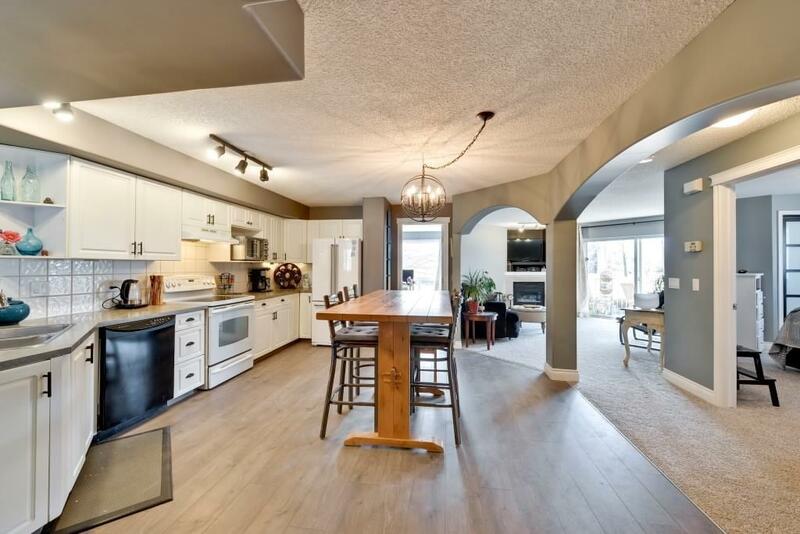 The newly renovated basement features a cozy family room with a cozy fireplace, an entertaining and wet bar area, extensive pot lighting, a full bathroom, storage room, workshop and a secluded third bedroom. This home offers 2 parking stalls, easy access to amenities, transportation and shopping.